- Click here to visit John Fried's website. 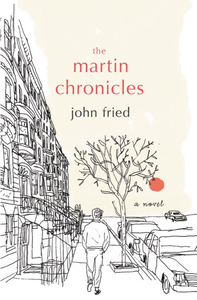 - Click here to connect with John Fried on Twitter. by 11:59am ET on Friday, December 21st. This is a special newsletter for our Holiday Cheer Contests, which will mail on select days through Thursday, December 20th. This newsletter is separate from our weekly Bookreporter.com newsletter, which mails every Friday. You can subscribe to that newsletter here.